In our Elk Grove Lead Learners meetings, we have discussed the importance of formative assessments and providing students with immediate feedback. I have been working to incorporate these tools more frequently and through different methods to increase student engagement and learning. One website that I have begun to use somewhat regularly is https://www.ixl.com/. This website offers both free and paid versions. Everything I will discuss here is using the free version. 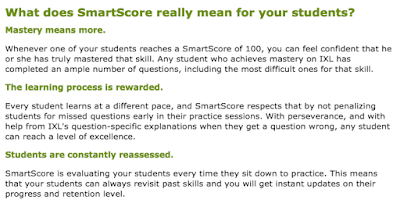 IXL offers open answer quiz questions in the areas of Mathematics, Language Arts, Science, and Social Science for grades pre-K all the way through 12th grade. Within each content area, you can search by grade level (though not always based on the order of skills we teach at EG) or use the search feature. 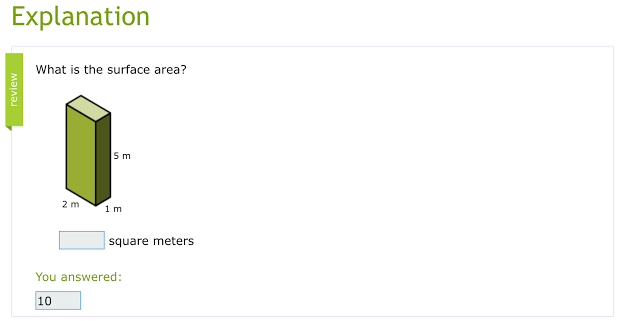 It is very easy, and you will find many question sets on the same topic. Once you choose a topic, you can share the website link with your students. For users of Schoology, it opens it right within the app, so it is a seamless transition. Students get one question at a time, and all students will be given different questions. 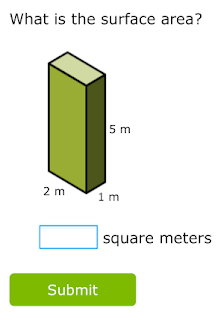 For example, here is a sample from the question set of "Surface Area of Cubes and Rectangular Prisms". I provide students with scratch paper, to work out their solutions. Then, students will type in their numeric response and receive immediate feedback of whether it was correct or incorrect. 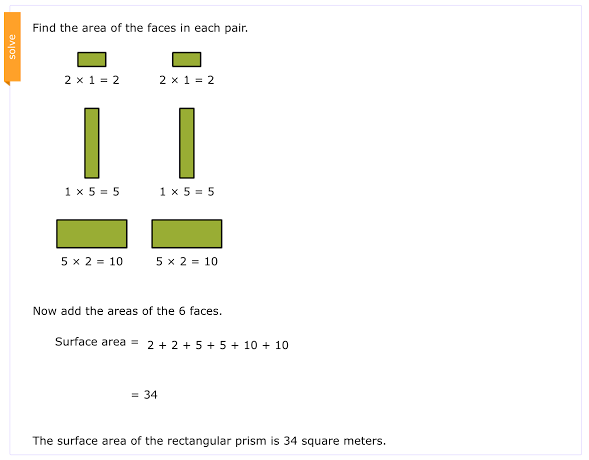 This explanation provides students with explicit and individualized information, including visuals, to help each student understand what he/she did incorrectly. On the side of each question, there is a bar that provides information on the question set including the number of questions answered, the time that the student has spend on the question set, and a Smart Score. 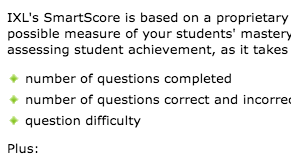 On the left is the toolbar that the students see, and then I provided the website's explanation of the SmartScore. 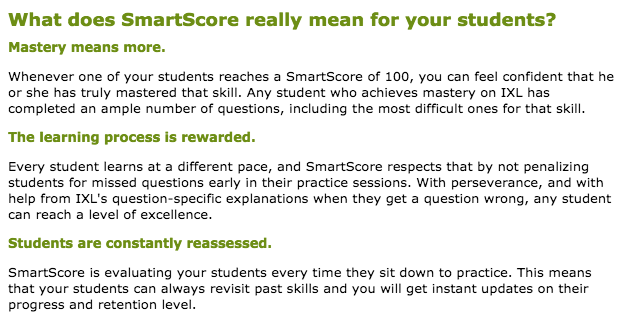 I think that this is a great tool for formative assessment, and I mainly use it as a quick warm-up in class. It is a great way to also spiral old skills or provide additional support for gaps that my students have coming into my class. If you have any other ways that you use IXL for, please feel free to share with the CollabLab!